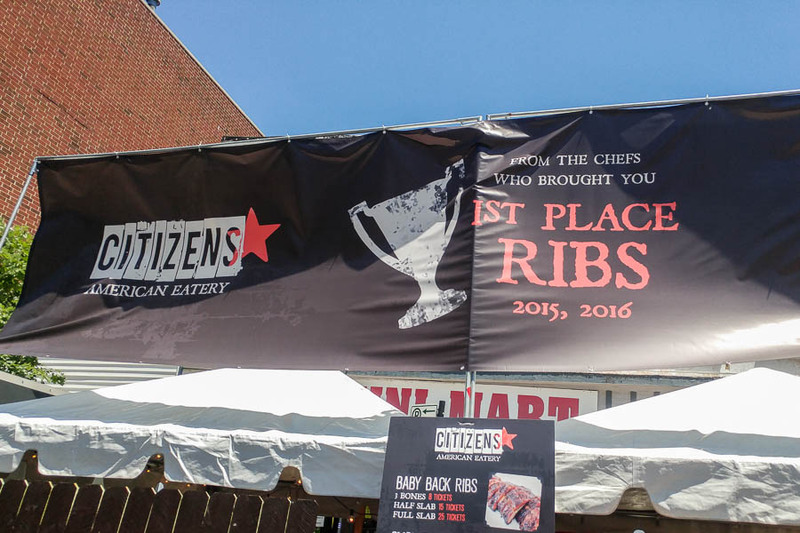 ← But is Chicago really a rib town? 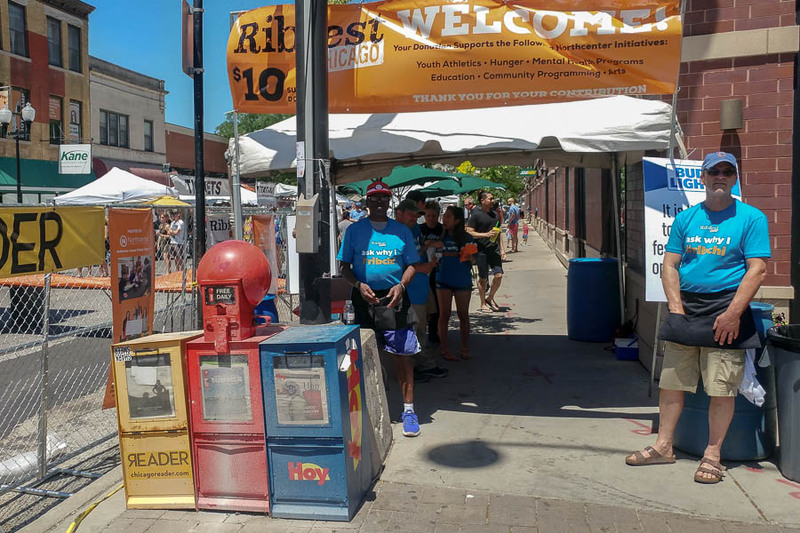 I've been a bit busy, so I just got a chance to pull Saturday's Ribfest photos off my phone. I have to say, this year's fest was a little underwhelming. Some of my previous favorites, like Piggery, didn't present this year. So instead of 10 local restaurants, there were actually only five locals, three catering companies, and two itinerants. Not only, but the suggested donation jumped from $5 to $10 just to get in there. And three-bone samplers now cost $8. So I only sampled four places this year, and none of them was as good as last year's Piggery bones. Mrs. Murphy's. I mean, I love the sauce, but this year they glooped so much of it onto less-than-perfect meat that I was a little put off. Only 2½ stars this time. Pork Chop. Holy crumpets, the ribs were meaty, with some smoky-spicy sauce that I really liked. 3½ stars. Citizen's American Eatery. First, I don't think they exist; I think it's a temporary brand for a catering company, only I don't know which one. That said, they had really good tug-off-the-bone ribs with a sweet-spicy sauce that they didn't slather on the meat. 3½ stars. River Forest Catering. They had the best meat I had but not the best sauce. And they're a catering company. 3 stars. I really missed the greats this year: Smoke Daddy, Smoque, and Fat Willy's. I wonder why.